The early nineties dawn the true start of films based originally on video games. Some people believe that the Super Mario Bros. adaption was what started this movement, a belief that I will uphold for history’s sake. Films based off video games have drawn the ire of critics and fans alike during this timeframe, with directors like Uwe Boll and Paul W.S. Anderson being considered blight on the medium. Many of these American adaptions are considered train-wrecks of film at worst and enjoyable but still terrible at best. I bring this all up because the news that Capcom’s Gyakuten Saiban (Phoenix Wright) series of games would be getting a film adaption, directed by the multifaceted and extremely productive Takashi Miike, got me thinking. 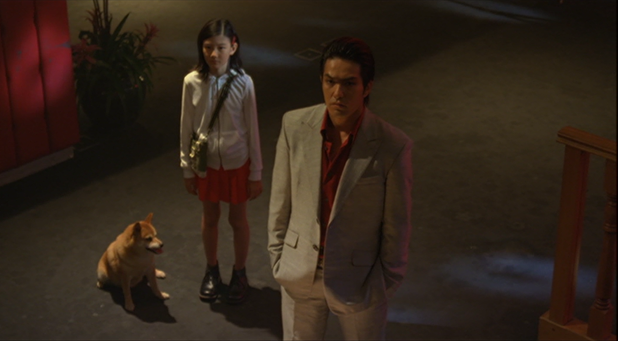 This is not the first time Miike has directed a video game based film, for he directed tonight’s review, the 2007 film Yakuza (Based on the SEGA series Like A Dragon) years before starting this escapade. I will now attempt to do something that I know is not in my best judgment, that is listing Takaski Miike’s other works that do not include his most known titles (those of you who have at least heard of him know what I am addressing). 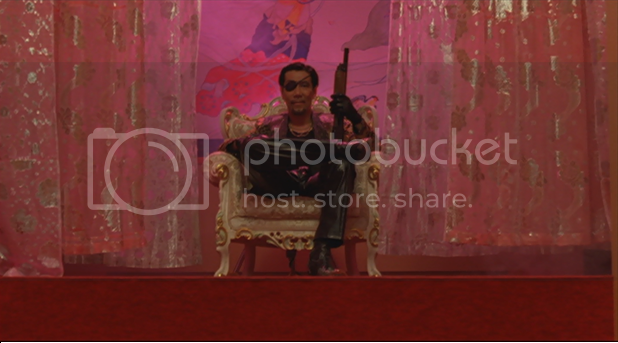 Takashi Miike filmography during the nineties could be summed up in the single word “Yakuza”. To bring up a regular comparison of mine, Miike was Japan’s John Woo during this time, but switch the Triad with the Yakuza. But during the 2000’s, Miike started to branch out with outlandish entries like Visitor Q, Zebraman, and the “somehow less invertally complex” T.V. adaption of the M.P.D. Psycho manga. Yakuza is what I would describe as a blending of these two decades. So this film does have a pedigree. Yakuza takes place predominantly in the Kabukichō area of Shinjuku. The weather is hot and muggy; the intro narration states that temperatures like this bring out all the crazies. This story follows multiple characters throughout one long night, but I will start with the main lead (just try to follow along). Kiryu Kazuma is a member of the quiet and slick Tojo Yakuza clan member who has just recently been let out of a ten-year prison sentence. He is followed by a young girl named Haruka, who are together looking for Haruka’s mother. 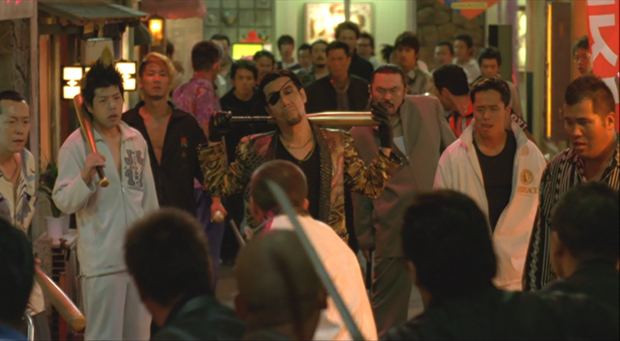 The eye patch wearing, flashy dressing Majima Goro, another member of the Tojo Gang, is practicing his swing in the batting cages as his men watch in awe. News that a bank has just been robbed of 10 billion yen perplexes him, but he only stops swinging when his brothers tell him that Kiryu might be behind this. Goro wants nothing more than to finish what the two started those many years ago. Meantime, the pilfered bank still has continuing problems. Two robbers that continuously communicate with each other in a stand-up comedy duo fashion are holding up the bank’s faculty and customers. Unluckily for them, the shipment of all the banks fund had been stolen just before they held the place up. A room filled with cops and the local police chief monitor the action across the street on monitors. 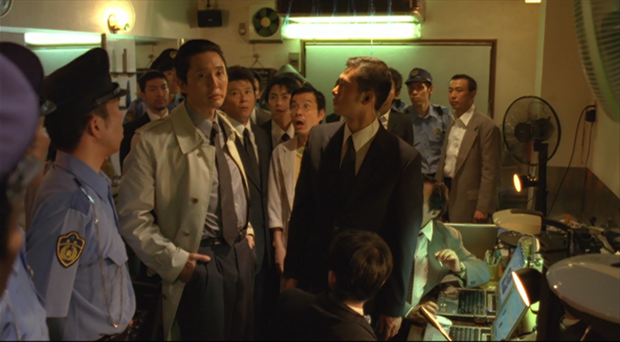 A Detective Noguchi searches for clues on the recent bank truck heist, interacting with other characters as he searches. Two twenty year old friends decide to rob jewelry stores for fun. A friend of Kiryu’s runs his host club, while actively assisting a wounded Korean Assassin. And one underground illegal gun runner underneath a DVD shop called Beam filters the action. I am going to disappoint some readers by revealing Yakuza’s true nature. I wrote earlier of how I considered this a mixture of Takashi Miike’s two decades of work, so what does that mean exactly? 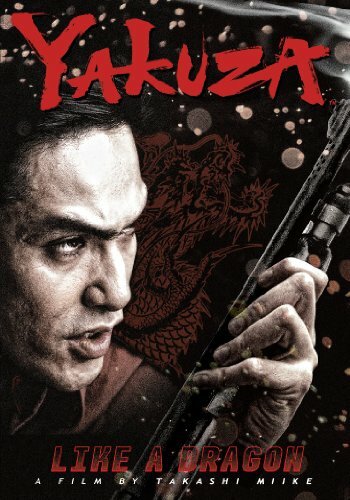 If you are looking for a violent, gun blazing, action flick in Yakuza, based solely on the badass cover with Kiryu holding a shotgun, you are going to have to wade through everything else that encapsulates this film. The thing is that this film is not afraid to make jokes left and right, which can be distracting. This film does not take itself seriously, even though it keeps its video game logic in check. Now since Yakuza is that Japanese genre film that tends to pretty up the crime world of Japan (the polar opposite of Shoko Tendo’s memoir), you are still audience to the bromance that men in this field inhibit. Pros: Once you accept that the tone of the film has been deceptive in the trailer, you really begin to enjoy Yakuza for what it really is. Crazy Ken Band’s funk sound gave the film that extra ting of fresh and cool. Majima Goro is my favorite character, headstrong and ruthless, while being charming and honest that I just had to like him. Outside of a view moments, the film keeps its video game logic at a minimum. Cons: Any viewer could tell that one of the initial reasons that the plot played out through multiple people came from how simple a character Kiryu is; the film would be lacking in substance with Kiryu being in the spotlight the whole time. Switches level of intensity on a whim; one moment a joke, the next a sequence of Goro torturing the gun-shop owner for information. The ending is a rushed mess; plot points fly left-and-right, and you can tell that Miike was just enjoying his Kabukichō set trappings and melodrama. Contains the fakest orange-colored blood I have ever seen, since Death Race 2000. Media Blasters and their Tokyo Shock imprint put out this bare-bones release. At almost two hours, Yakuza gives new meaning to the phrase “bursting at the seams”, making it one of the few action films that I have ever had to take a break from watching. The ending is not going to change your opinion on the film by the time it finally shows its face, because honestly by that point you have already seen every cool thing Yakuza had to offer. Think of it truly as a long video game session that had to end somehow; it is the eventful journey, not the complacent destination that makes Yakuza enjoyable to watch. ‹ Shinesman Review: The Goal Is To Get Overtime Pay!